Hubby and I went to Port Huron today. It is where one of the bridge from Michigan, called Blue Water that link us to Canada. The weather was good and I had a good time taking picture of the bridge and the surroundings. Here are some of the the photos. have time to visit me here whenever ur free. 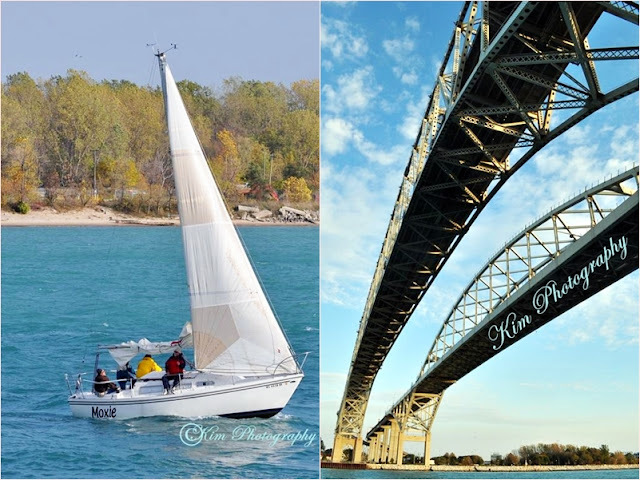 Love the bridge and the boat photos. Love the bridge photo, great lines. Great pictures and the Johnny Dog looked delish! Wow ate, abot tanaw mo lang pala ang Canada. Anytime pwede kayo pumunta hehehe. Canada offers so much beauty. You did a nice job capturing some of it. I guess that's the I-69 bridge to Sarnia - an impressive cantilever span to Canada. That is a well dressed dog, a fine view - however, that looks like a cod day to be ob a boat! Great shots, is customs on the other side of the bridge. The sky looks beautiful, what a wonderful day. Great Pics! Now, I want a hotdog! wow, how awesome! ka nice sa weather teKim....laway ko sa hotdog da...hehehe! beautiful pictures! i've never visited that far north. Great photos. The bridge is awesome the color of the water is gorgeous. Love the flags side by side. Awesome shots, especially the bridge. It is a great place to visit. Beautiful photos. Beautiful shots! 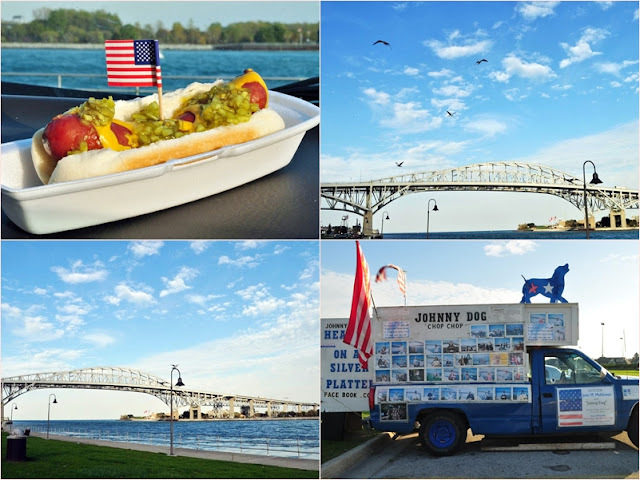 You really captured the bluest sky...and that hot dog...looks delish! I so love the bridge Manang Kim, I remember San Juanico Bridge of Leyte. I've been there once only and remembering it seeing your post :-) Happy weekend!